This guide will use photographs, diagrams and sketches made by the author and some provided by various manufacturers to teach how to clean, condition, adjust the action and properly intonate your acoustic guitar, as well as: John's trade secrets on hand-carving bone nuts and bridge saddles, wiring and fretwork. John has also included a chapter on identifying and diagnosing problem guitars. It even includes a forward written by Bob Taylor of Taylor Guitars. 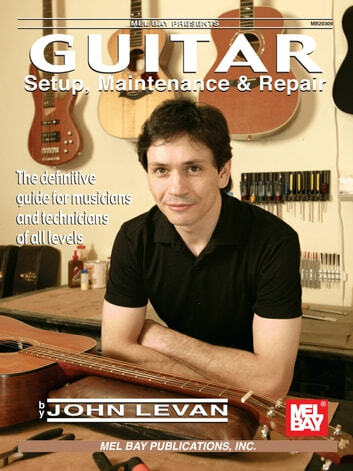 This book is perfect to teach a beginner or a reference for the guitar repair professional.